This is our 40ft Inflatable Obstacle course! Two people can race through this interactive game and bring out thier competitve spirit. This Inflatable Obstacle course features crawl throughs, crawl over pylons, inflatable pop-ups, an inflatable slide and a climbing area. Forty feet of heavy breathing fun! This inflatable obstacle course is a great Event piece that will keep the lines moving, and it is also a frantastic inflatable for a back yard party. Our Inflatable obstacle is colorful, clean and safe for almost any age. We offer a large selection of Inflatable rentals for you to choose from and are licensed and insured. 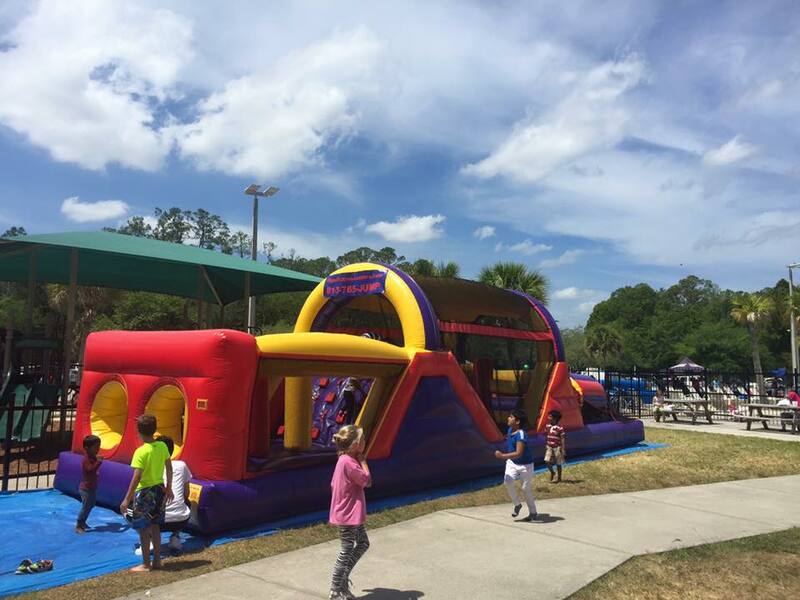 We offer Bounce House Rentals, Water Slide Rentals, interactive game, dunk tanks and concessions. We can help you plan your event, Large or small we have something for you and your guest to enjoy. 1 Outlet (110) located within 75 ft of the set up area, we carry extension cords but willnot run over 75 ft because of fire saftey.